Hi friends! 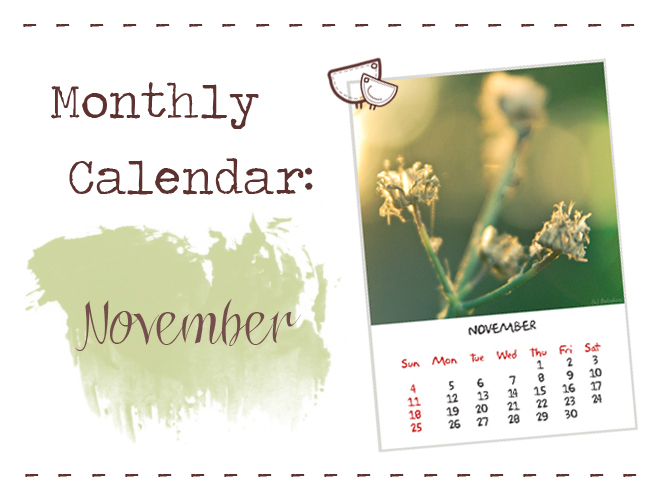 Meet our latest calendar for November. This printable calendar features original photography art by Tori Tokabari. Tori decided to share with your the actual mood of Crimean November - sunny and green and warm. Print this .pdf file at 100% onto standard paper sheet. Use an eyelet puncher to make a eye to hand it and enjoy sunny November mood.